Your Wedding. Your Suit. Look as Good as You Feel. What better way to show up to your wedding than with a custom-made suit or tuxedo designed just for you? Weddings are our specialty at H. M. Cole. Our fast turnaround times, perfect fit guarantee, and professional fittings will make your ordering experience enjoyable and timely. Schedule a fitting with us today, or call us at 385-229-4447. Design a suit for the groom or outfit your wedding party with a one of our custom groomsmen packages. Create 2-piece suits, 3-piece suits, or custom tuxedos. Custom embroider your name or wedding date. Get our perfect fit guarantee. No extra cost with all orders. * Alterations not included in shipping estimates. We recommend ordering 4 weeks before bridal photos to ensure product arrives safely on time. 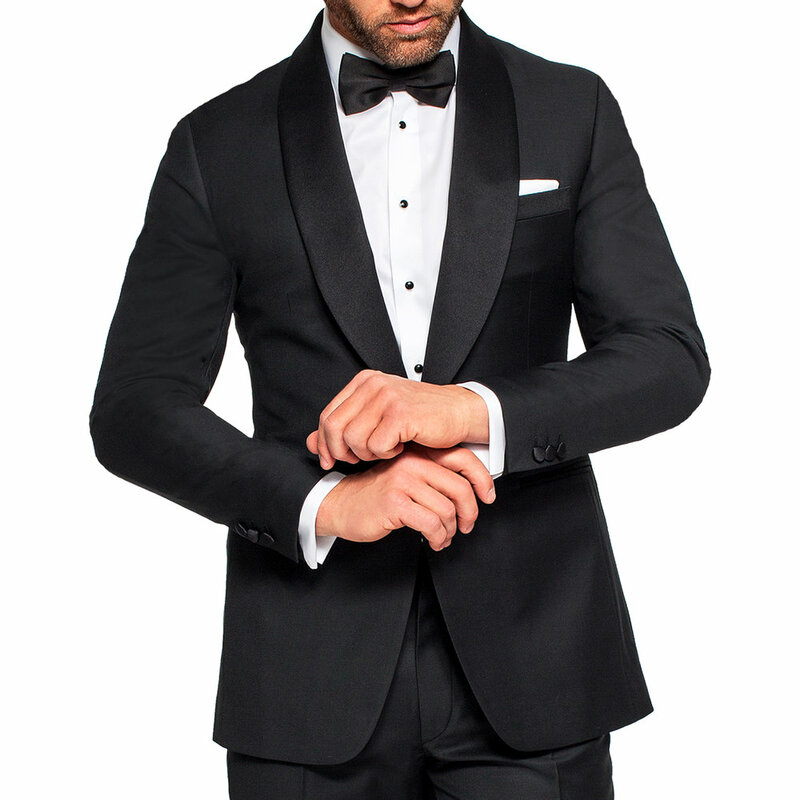 Skip the rentals and create your own timeless tuxedo look with H. M. Cole. Our bespoke men’s tuxedos are crafted with the same great expertise as our suits. This isn’t just another tuxedo rental, it's about crafting your very own bespoke wedding tuxedo. Do you want peak lapels, or a shawl collar? Cumberbund or vest? Whatever your style, H. M. Cole can help you create the perfect wedding tux.